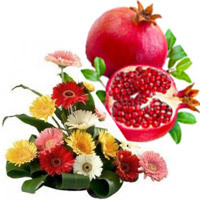 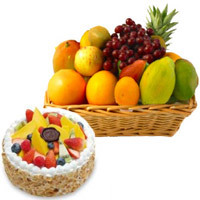 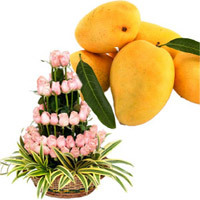 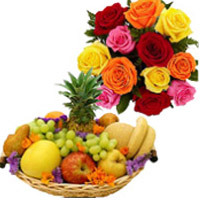 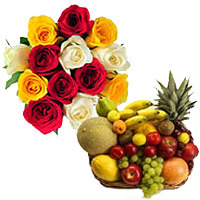 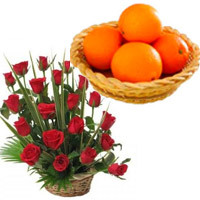 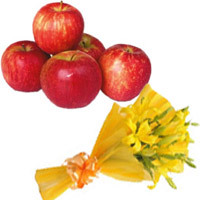 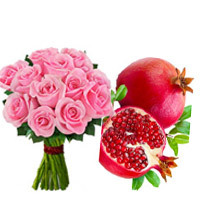 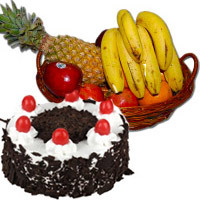 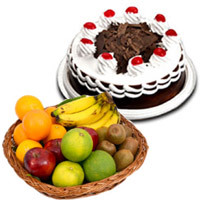 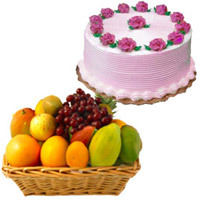 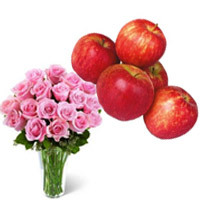 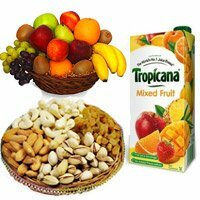 Fresh Fruits in India This Rakhi celebrate the happiness and love with nutritious and healthy Fresh Fruits and Gifts from Bloom N Bud with Fixed Time Delivery of Gifts. 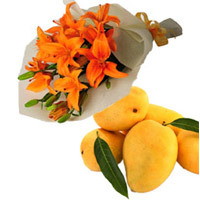 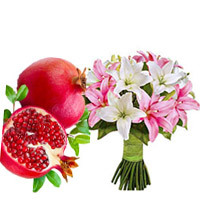 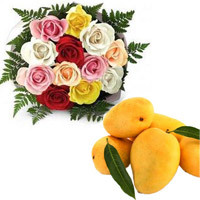 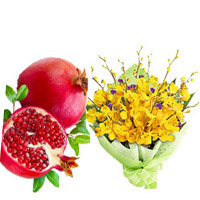 Send Flowers to India with Bloom N Bud to celebrate Raksha bandhan between brother and sister. 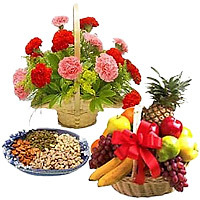 Rakhi or Raksha Bandhan is a festival most recognized and celebrated amongst the Hindus for its great symbolic significance. 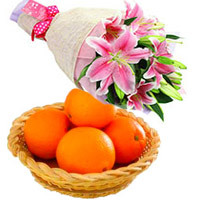 Rakhi is a sacred thread that binds the love of a sister for her brother in a unique indelible bond of affection for a lifetime. 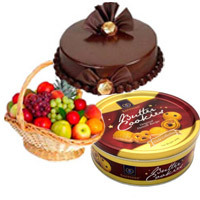 Rakhi is representative of the instinctive ties of brother-sister relationship. 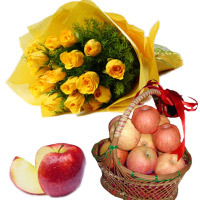 It reinforces the sublimity of this relationship in a very endearing manner. 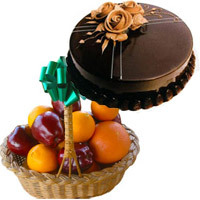 Rakhi symbolises the eternal bond between a brother and sister. 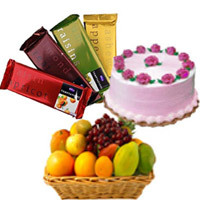 Make this Rakhi special and Send Rakhi Gifts to India. 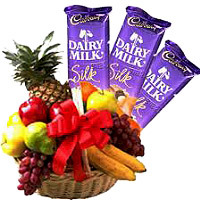 In fact, the strong conviction about the power of rakhi to bestow longer life for the brother and protection for the sister is enhanced every year. 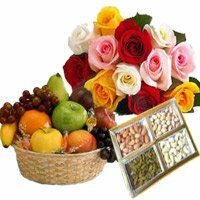 Thus, rejoice these bonds even better by sending Send Flowers to India, cakes to India and gifts to India. 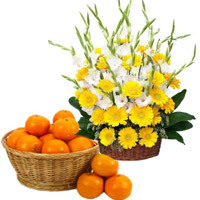 The concept of tying the sacred thread called 'Rakhi' on this day is not new and finds a mention in important episodes of Hindu epics and mythological stories. 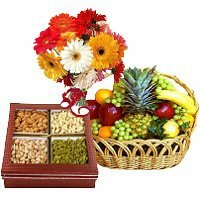 Hence, the popularity of this old-age tradition of tying rakhi is an acknowledgement of the bond of pure love and affection among siblings. 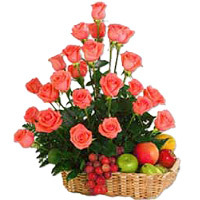 If the distance is causing a trouble to rejoice the occasion then please overcome it and send flowers to India. 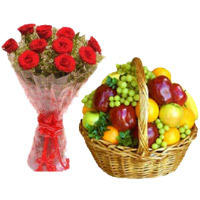 We make sure you have a pleasant experience of gifting with us. 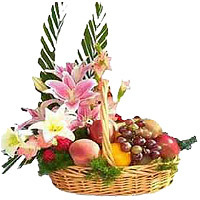 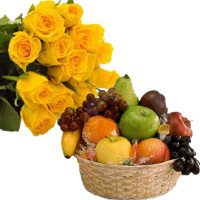 Sending a basket of fresh fruits as gifts to India is a perfect example of how concerned you are about the health and well being of your loved ones. 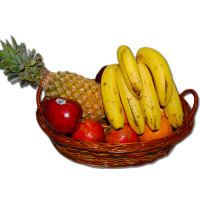 These fruits are fresh from the local markets which are in turn picked up from the farms. 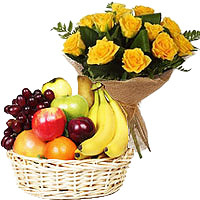 The experts, meticulously judge the quality of the fruits and only then pack them up to be send gifts to India. 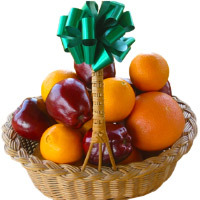 Fruits are nature's greatest gifts. 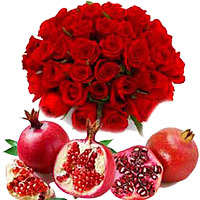 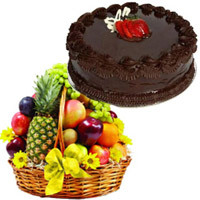 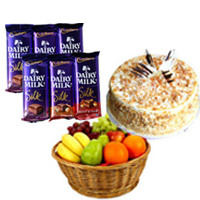 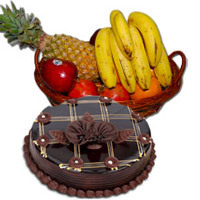 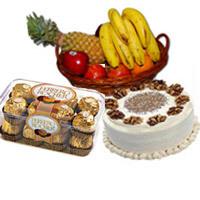 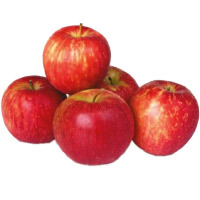 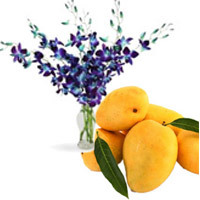 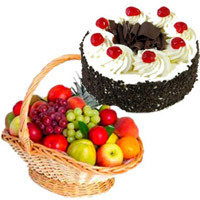 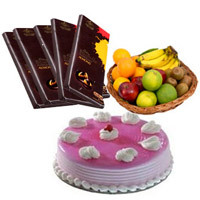 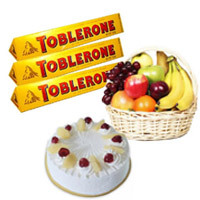 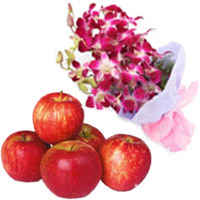 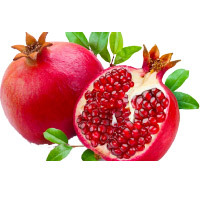 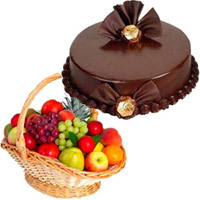 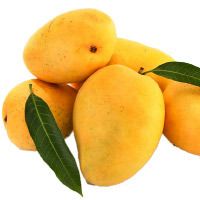 We offer a wide variety of juicy, gourmet treasures to send gifts to India. 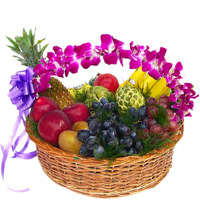 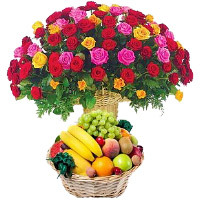 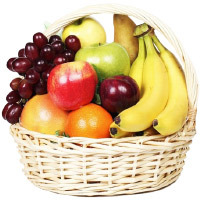 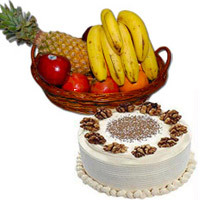 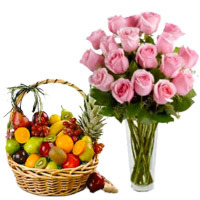 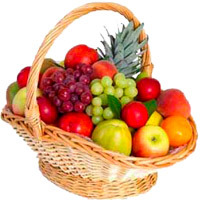 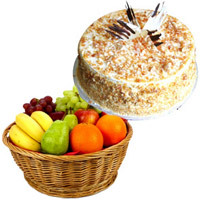 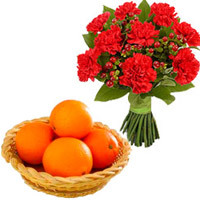 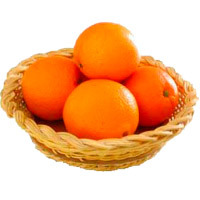 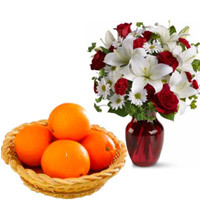 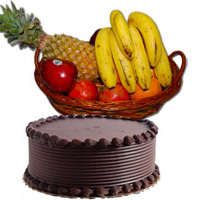 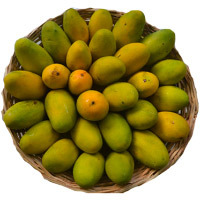 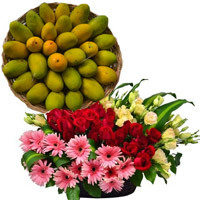 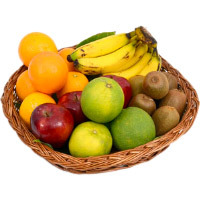 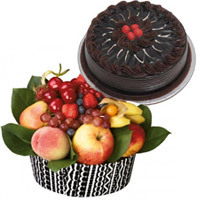 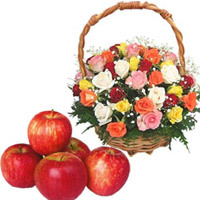 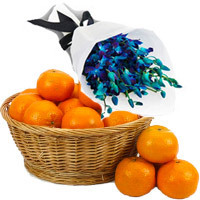 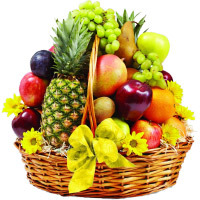 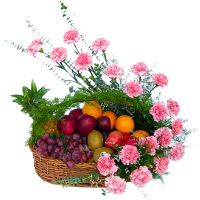 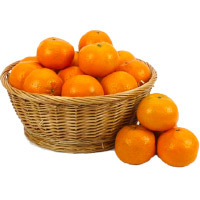 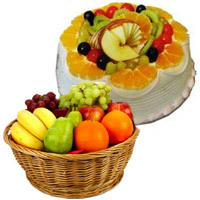 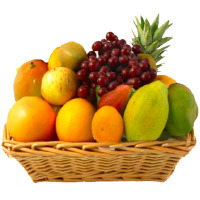 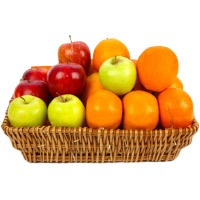 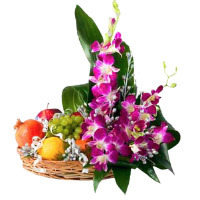 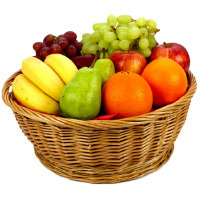 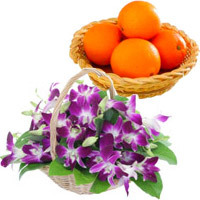 A basket of our fresh fruits is a perfect gift for any occasion to Send Fresh Fruits to India. 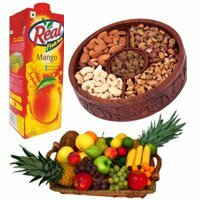 Our fresh fruits include oranges, bananas, apples, mangoes, pomegranates and every fruit available during the season to send gifts to India. 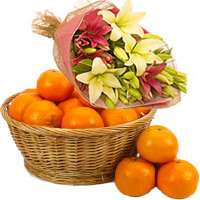 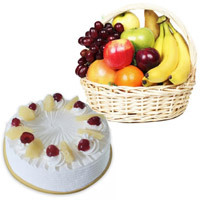 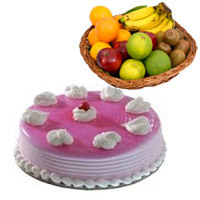 So exploit and pamper your loved ones with the juiciest and the amazing Fresh Fruits Gifts to India.